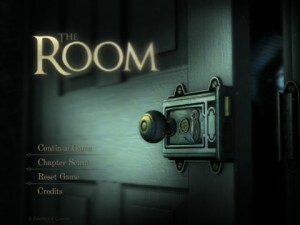 The Room iPad Game Review. Mystery games usually require a lot of thinking. Both for the creators' part and yours, as a player. 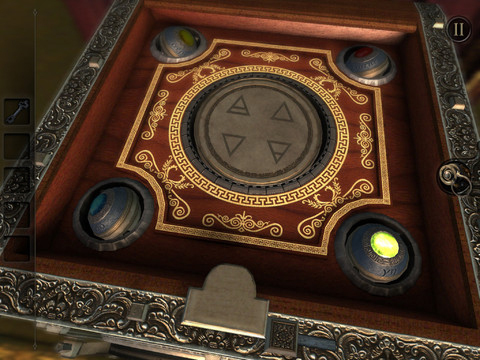 There are all sorts of complicated puzzles involved, and the story line is so encrypted it just gets you hooked. So hooked that you no longer feel like you're playing a game. You're actually finding a way out of a mysterious castle, dungeon or whatever mystical setting, while discovering deep buried secrets. Playing a mystery game gives you a unique sensation. And that's exactly how playing The Room feels like. The Room is the classic mystery game. The story unravels as you play, and what seemed like total nonsense in the beginning becomes crystal clear as you solve the puzzles. Every object, word, letter, drawing, everything is more than meets the eye. And, of course, there's a dark location involved, filled with unsolved mysteries. 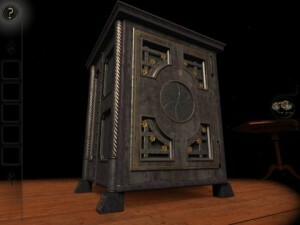 The basic idea of the game is for you to open a safe containing some secret. What the secret is, that's not 100% clear right now. Presumably, it's a unique device that gives you unlimited powers. The story lacks a bit in terms of explaining why you're the one that has to open the safe, but as the game progresses, more of the story is revealed. While at first, I thought the shaky story line was something that will weaken the game, I came to realize the story itself is a puzzle, and you need to figure it out as you solve everything else. Kewl! The first thing you'll probably notice about The Room are the graphics. I've played a lot of "escape the room" sort of games, so I'm pretty used to coming across the same type of graphics over and over again. It's almost like a pattern with these games. But The Room is different. Mostly because it's in 3D. And the game play bares a couple of differences, as well. The Room is way more tactile. You actually unscrew lids with your fingers, turn keys to open locks, drag out hidden objects and pick up items. Also, everything you collect, along with the tools you can use, are on the main screen. So, there's no need for you to use any unnecessary taps or extra options to use an item, or explore the entire room at once using a magnifier. And you aren't given anything. You earn the magnifier, the lens to use it, the keys, everything through your own discovery and puzzle solving. Now, what I really liked about The Room is that you don't have to pay for hints, as it so happens with other similar games. But, I also found The Room to be a bit tougher than these other similar games I'm talking about. It took about one hour and a half to get through the first two chapters. And I didn't feel the difficulty level gradually increasing. There are no easy tasks to get you started. So, you better act like a pro straight from the beginning of the game. Mind you, this is no game that you can pick up, play for 10-15 minutes and then drop it to do something else. For one, you won't remember what you have to do, what you've done and what you've already explored. Second, the game is so captivating that you'll feel immune to everything else on your todo list for that day. Play with care! In the end, would I play The Room again? Probably yes, because I always enjoy a good mind tease. And The Room is an excellent one. No wonder it's been Apple's game of the year pick. But you do need to be in the right mood to play it. And be prepared for long hours, torturing your brain, trying to find the solution to solve the mysteries in The Room. Have this iPad Game already ? What do you think of The Room? Scroll down for our comment section and let us know!